Both fresh and saltwater activities may be conducted from "The Bear Necessity", new to us in 2001, is a 53' Yacht equipped with full accommodations for multi-day, overnight excursions; and the Stikine Spirit, a 28 foot twin engine jet drive used for day trips navigating fresh water rivers and streams. The Stikine Spirit may be used in combination with the The Bear Necessity's multi-day excursions. We also utilize various smaller boats, depending on the type of trip or activities. The following activities may be Ѕ, full, or multi-day excursions, and many of these may be combined to satisfy your interests. You tell us what you want to see and do, and we will design your trip. All saltwater activities are conducted in Southeast Alaska’s Inside Passage; no ocean swells to intimidate you; with endless bays, streams, rivers, and inlets to explore. Much like a never ending, meandering lake with breathtaking scenery and vast rainforest. While on shore, we will be in the Tongass National Forest, largest in the nation, including the Stikine-LeConte and South Etolin Wilderness Areas. We at Alaska Peak & Seas want our clients to feel Alaska, as well as view it. We are more diverse than any other company in this area, and we offer some features that our competitors do not. 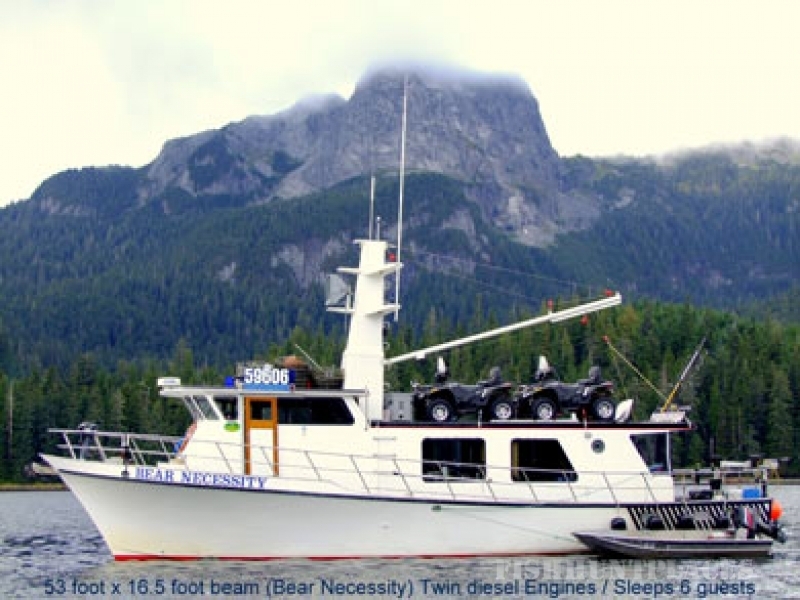 For small cruises and bear hunting in Wrangell, AK, call Alaska Peak & Seas! Fair Chase Hunt the Best, Brown & Black Bear, and Sitka Blacktail Deer, with rifle or bow in the beautiful Tongass National Forest and the Stikine-LeConte Wilderness. 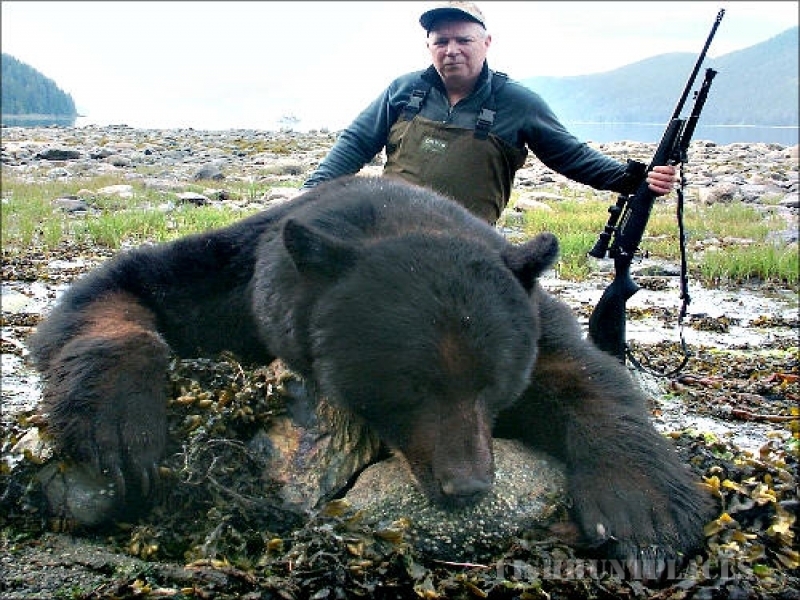 For Alaska Black Bear Hunting as well as AK Brown Bear Hunting call us today! Fishing just doesn't get any better anywhere. We offer both fresh and saltwater fishing for huge halibut as well as King Salmon, Coho Salmon, Pink Salmon, Ling Cod, Red Snapper (yellow eye), and many other types of cod/rock fish.